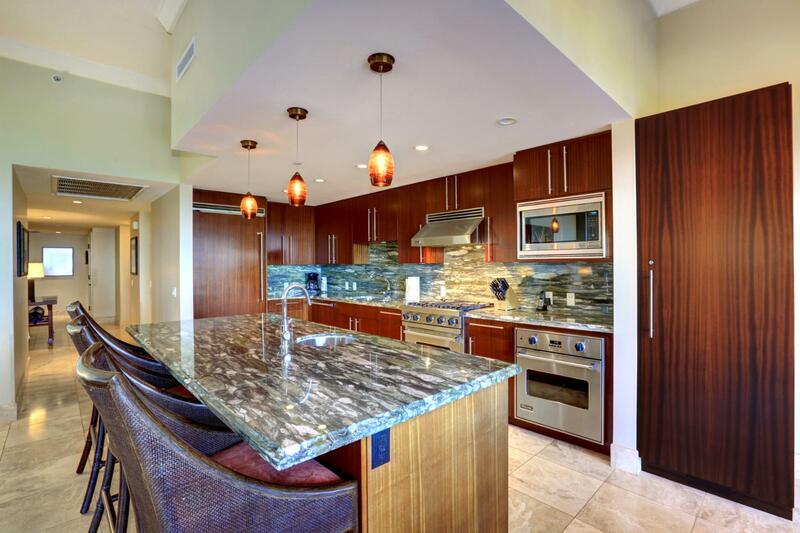 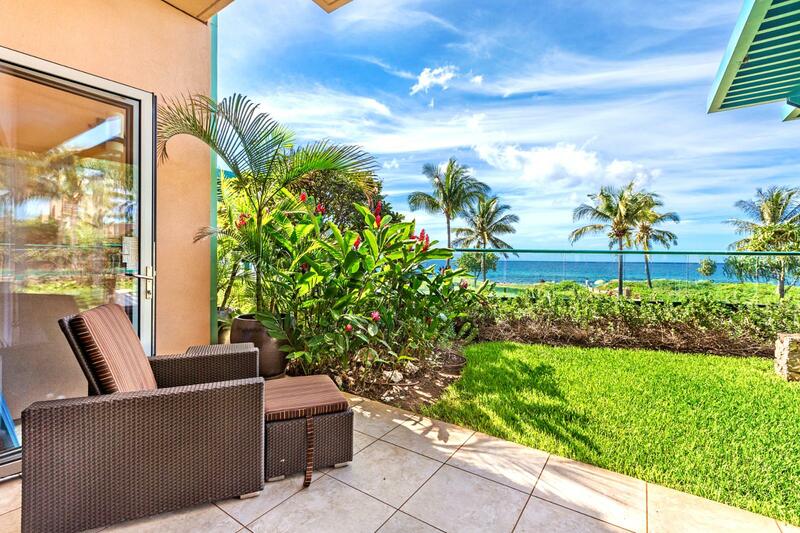 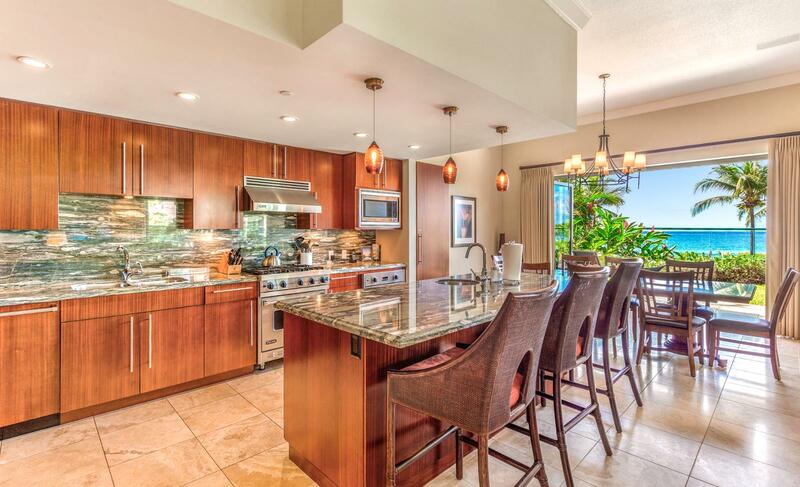 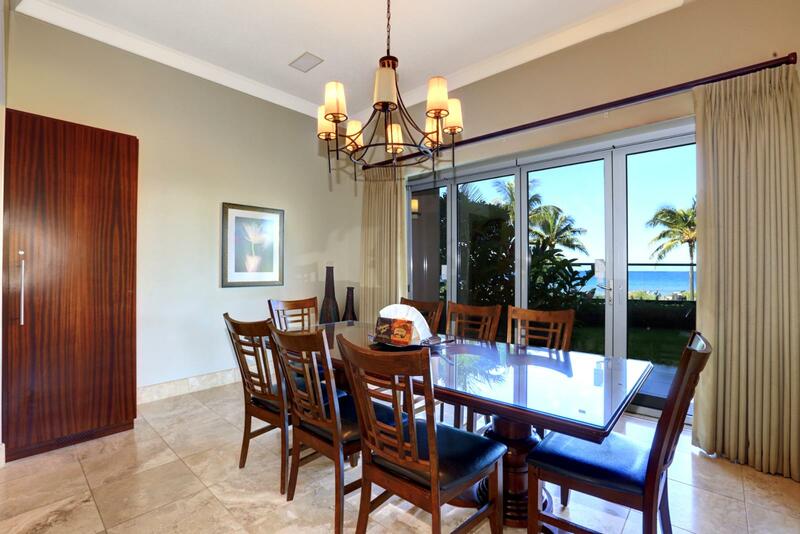 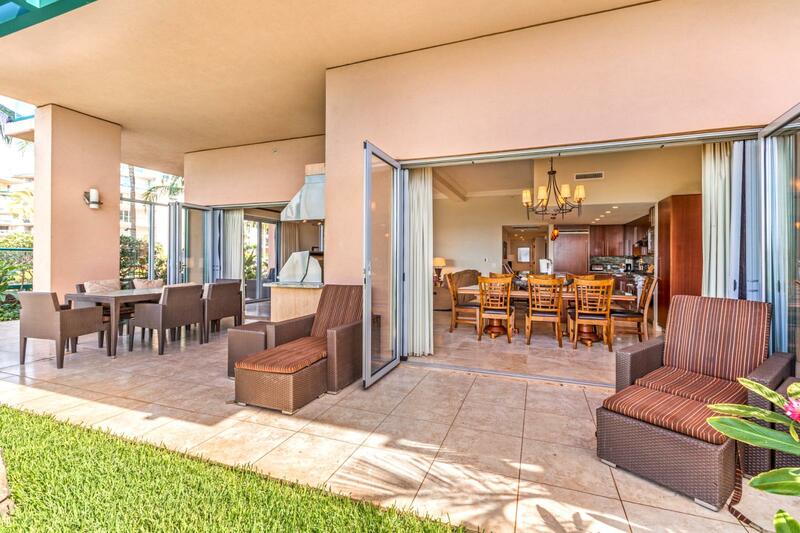 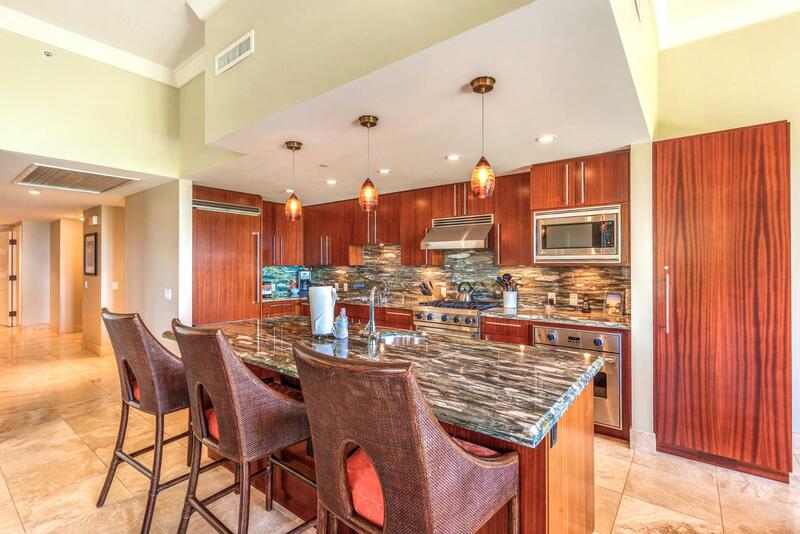 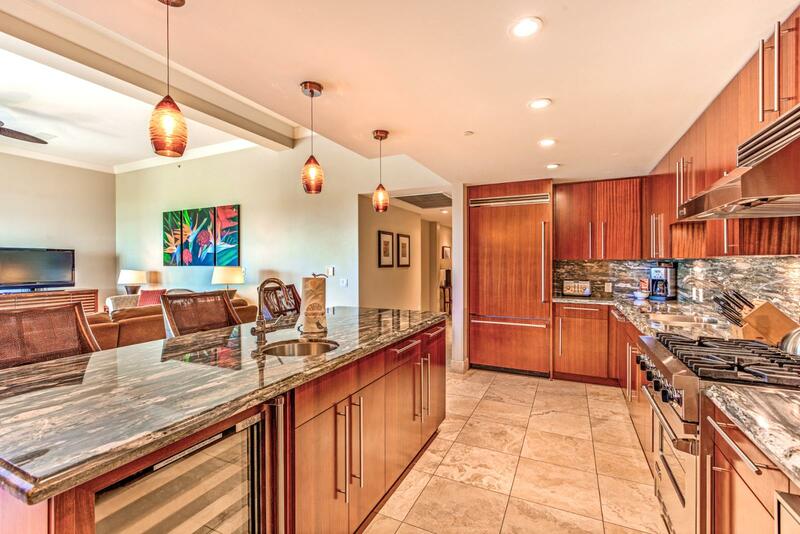 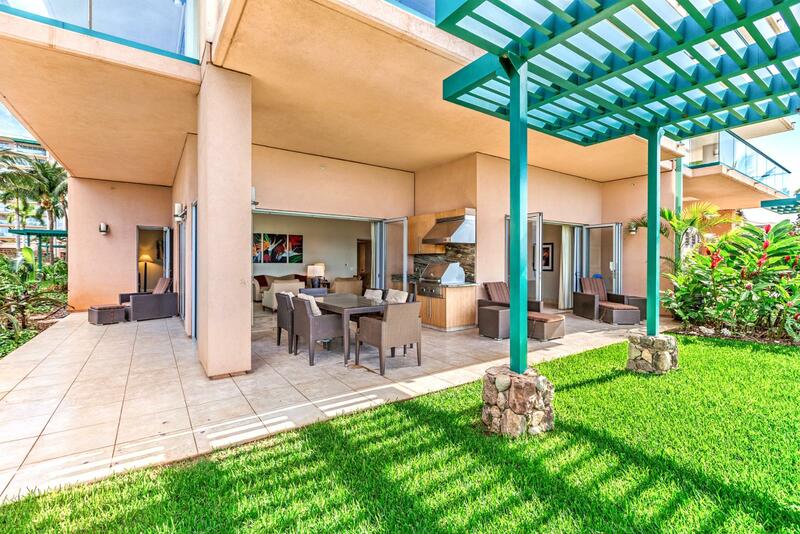 Ultimate Ocean Front Luxury 3bd/3ba with private yard steps from the beach! 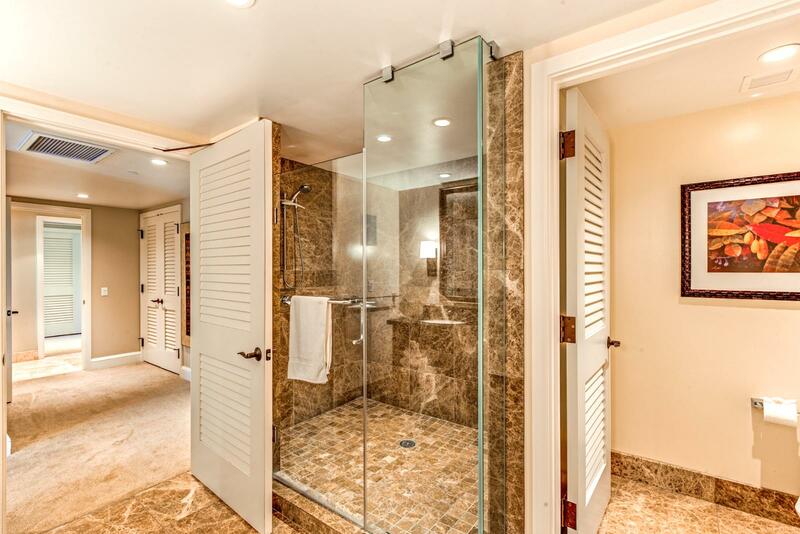 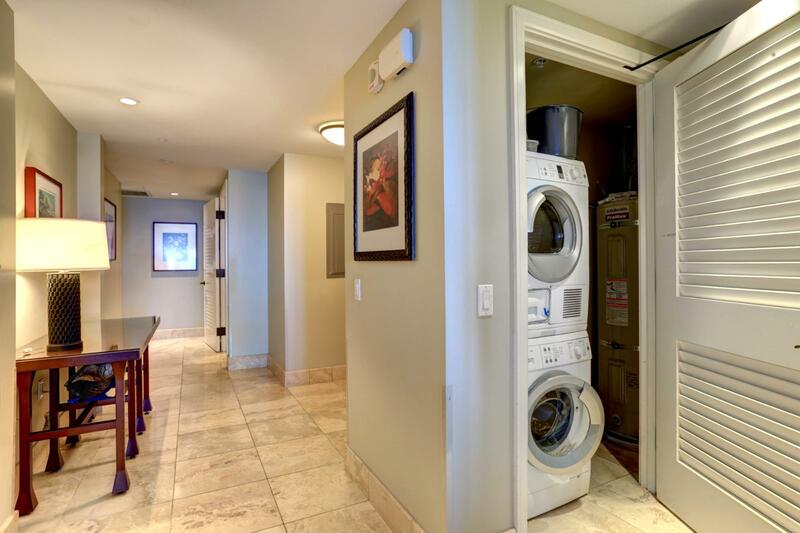 Size in/out : 2,290 sq.ft. 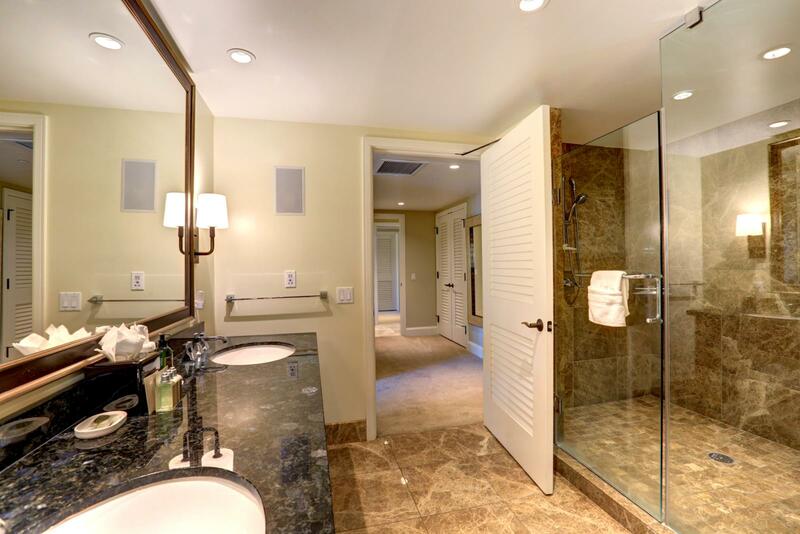 / 1,200 sq.ft. 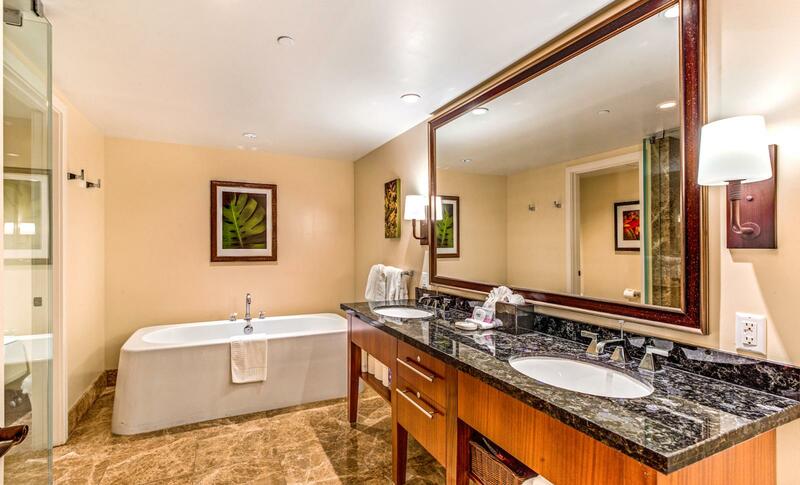 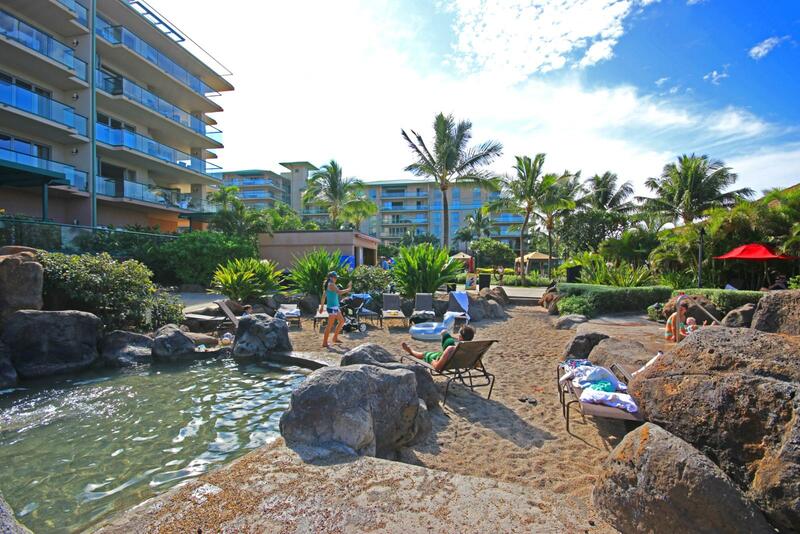 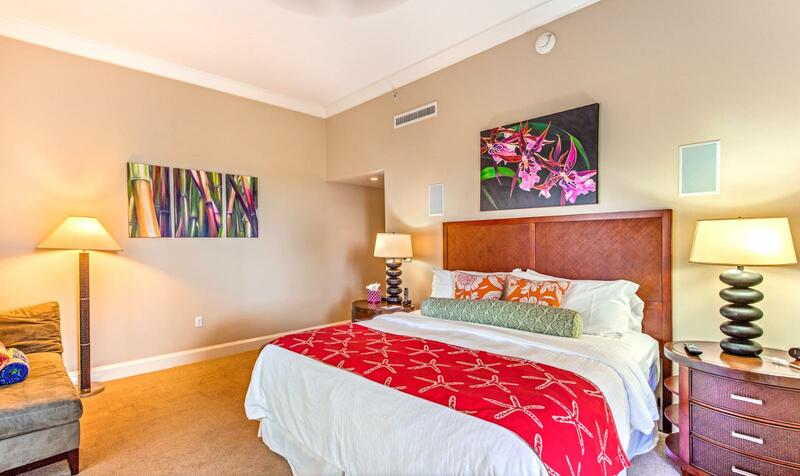 Apr 27 2019 - Apr 29 2019 * 2 night special only $549/nt. 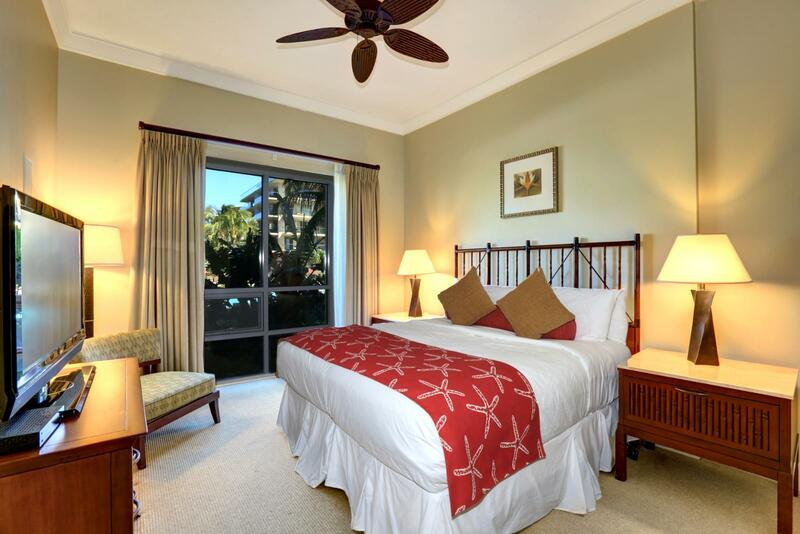 May 08 2019 - May 13 2019 * 5 night special only $549/nt. 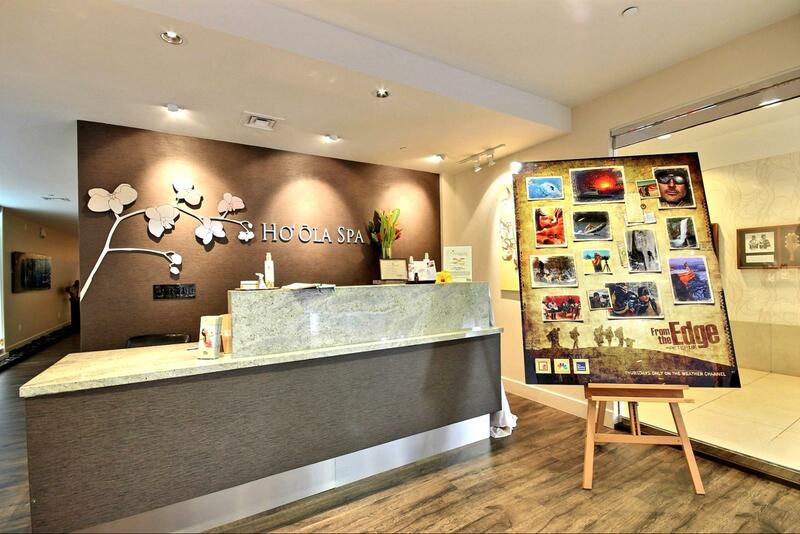 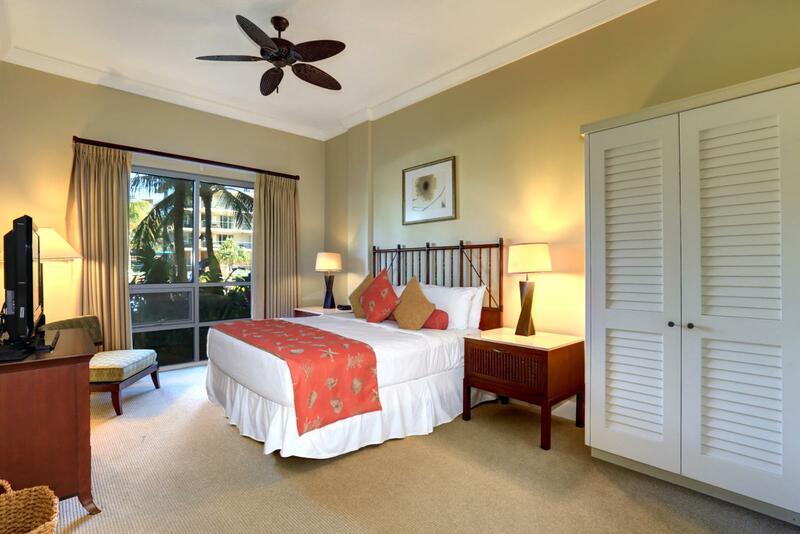 Jun 14 2019 - Jun 20 2019 * 6 night special only $938/nt. 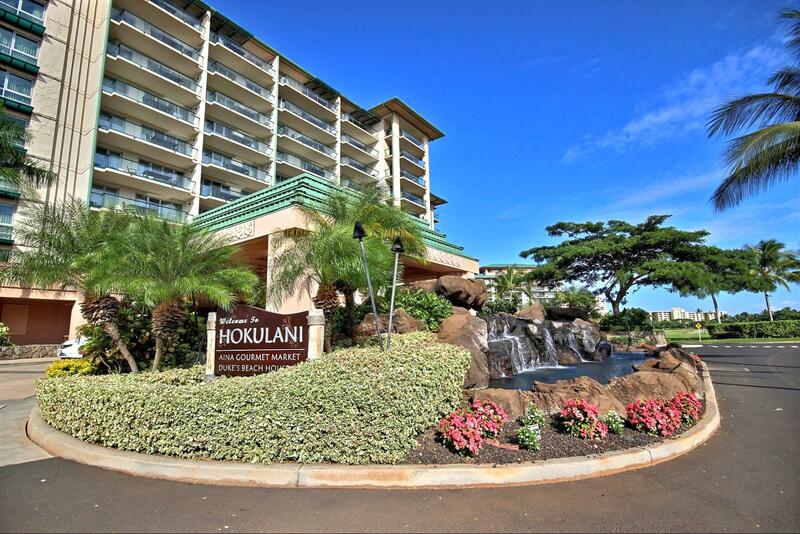 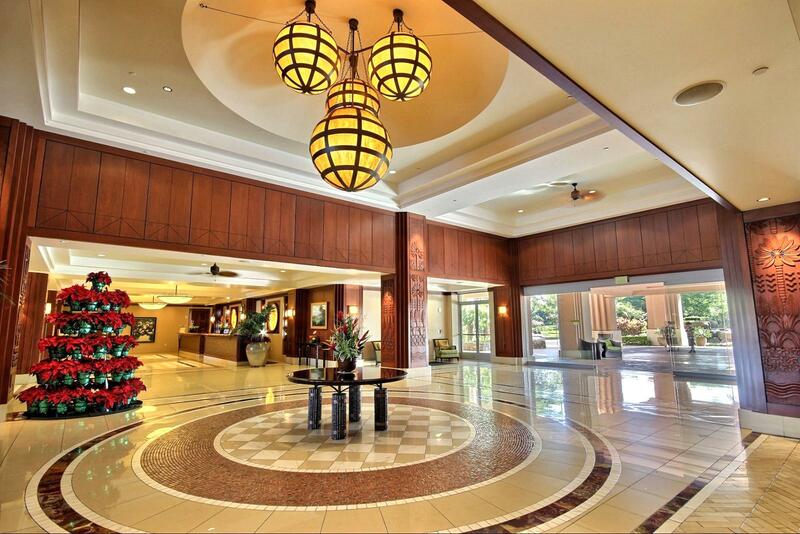 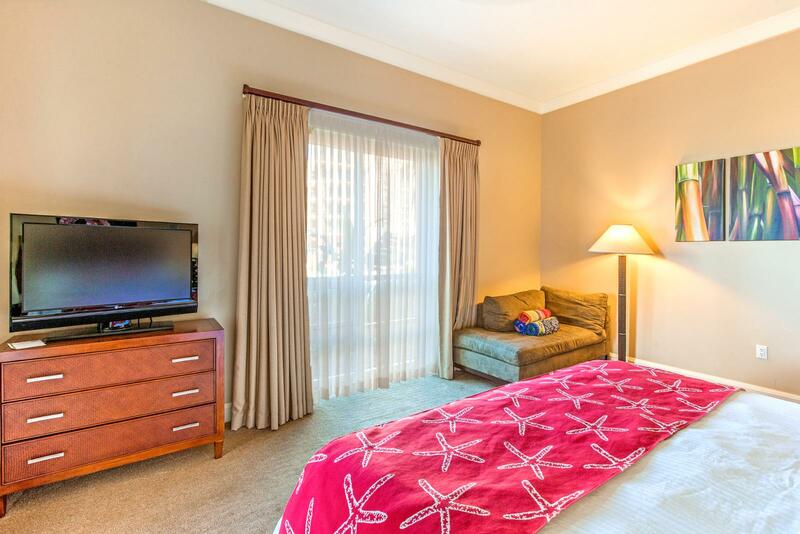 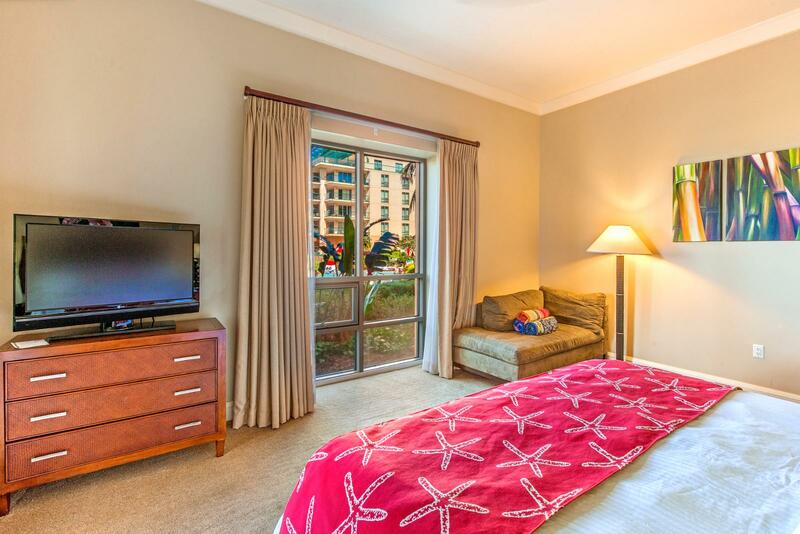 Jul 07 2019 - Jul 10 2019 * 3 night special only $549/nt. 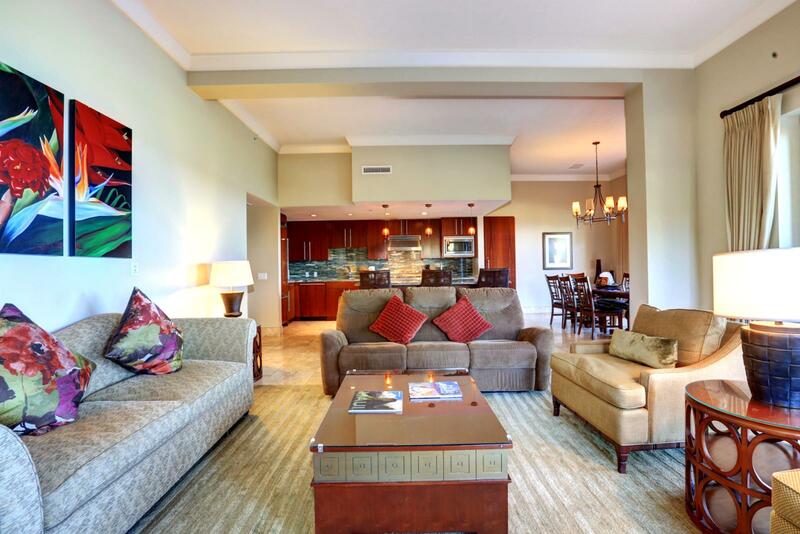 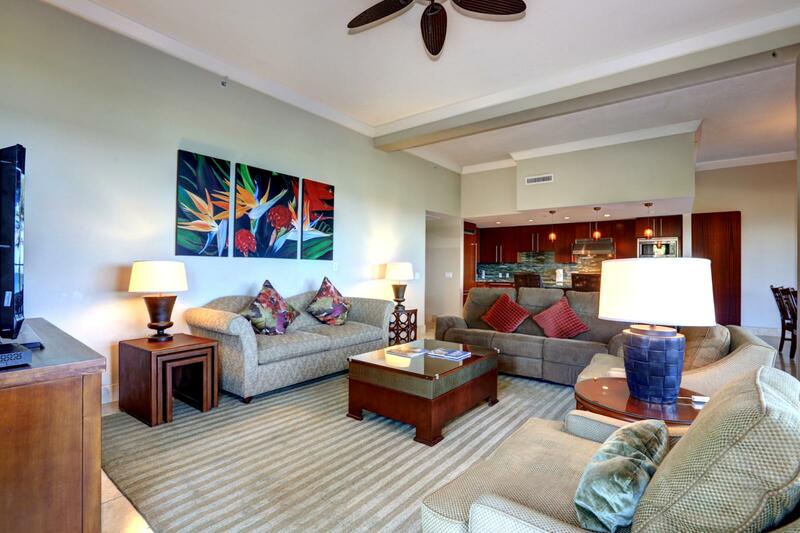 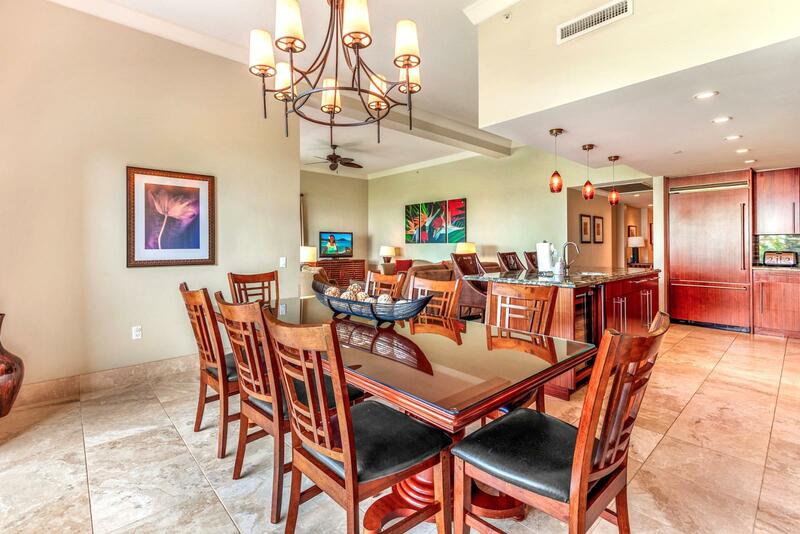 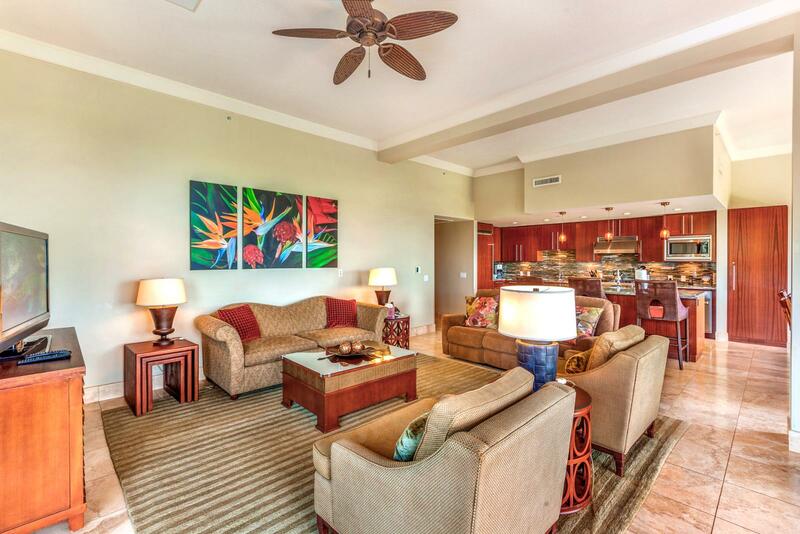 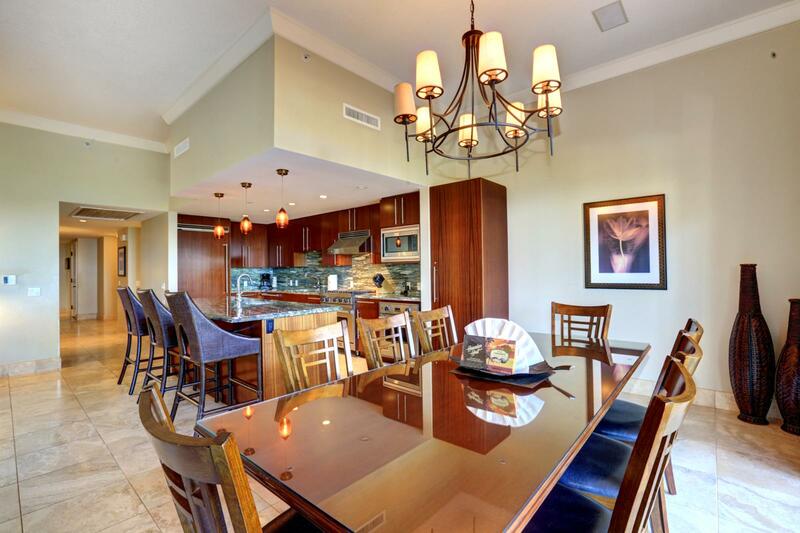 Aug 17 2019 - Aug 19 2019 * 2 night special only $755/nt. 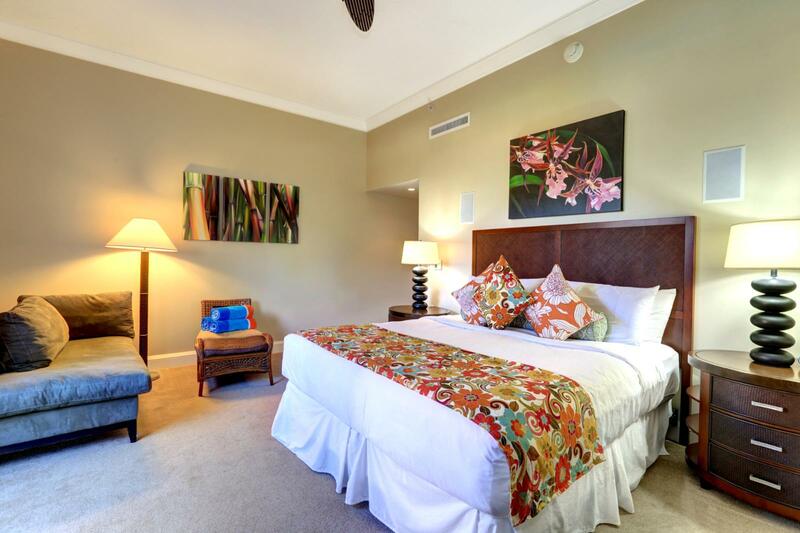 Sep 22 2019 - Sep 27 2019 * 5 night special only $755/nt. 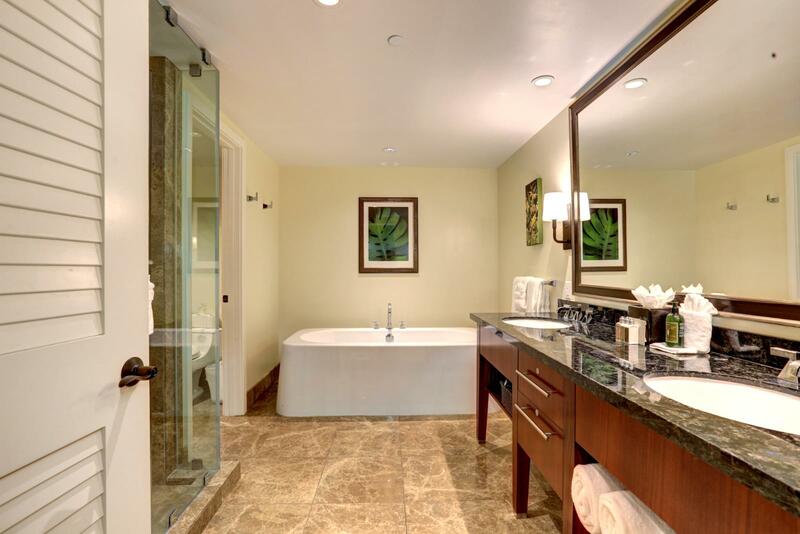 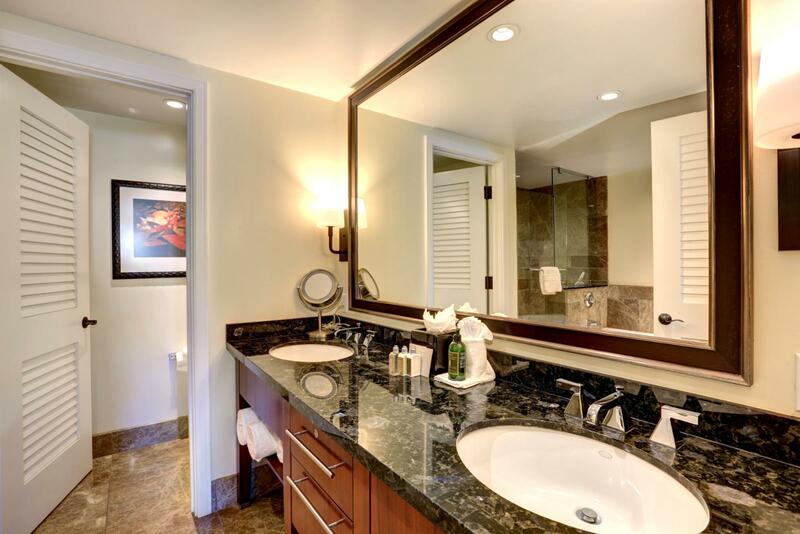 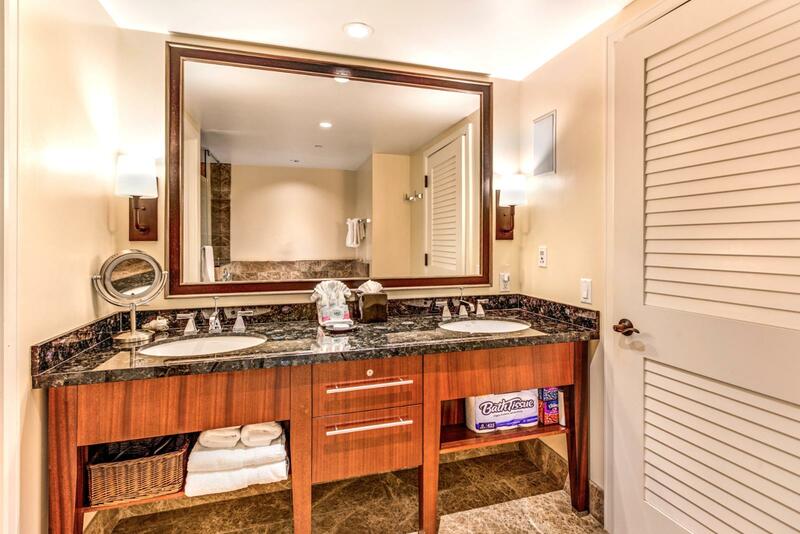 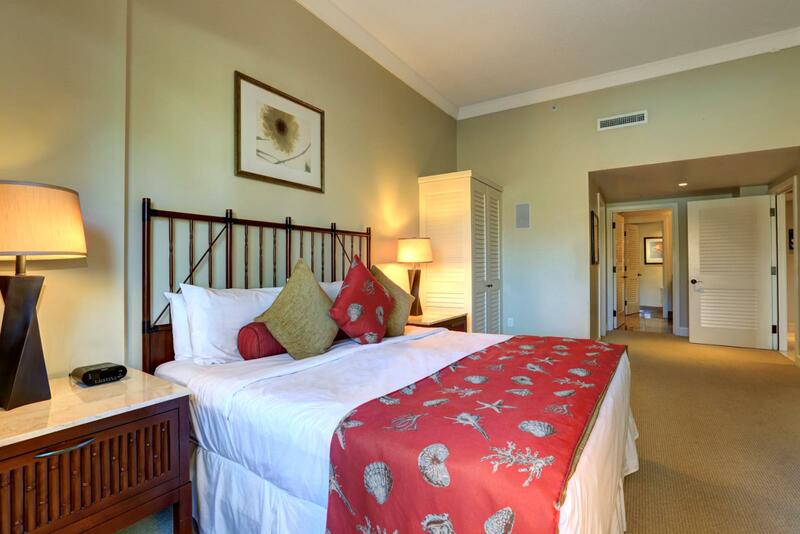 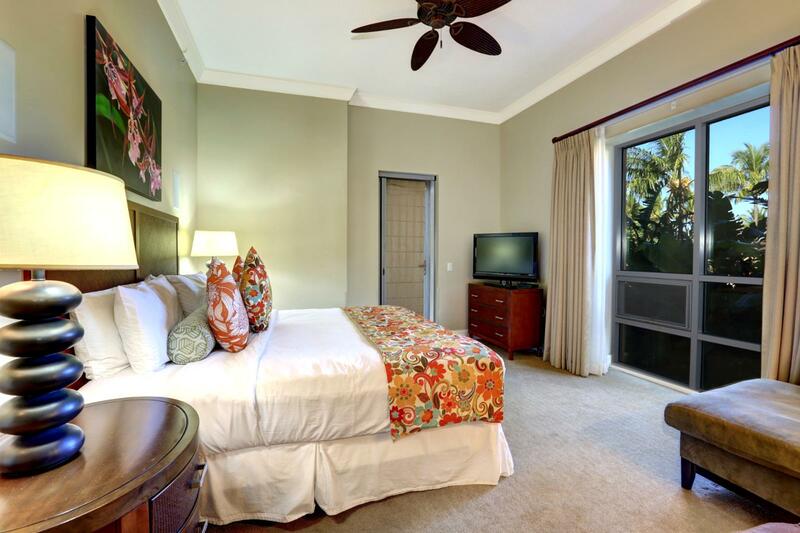 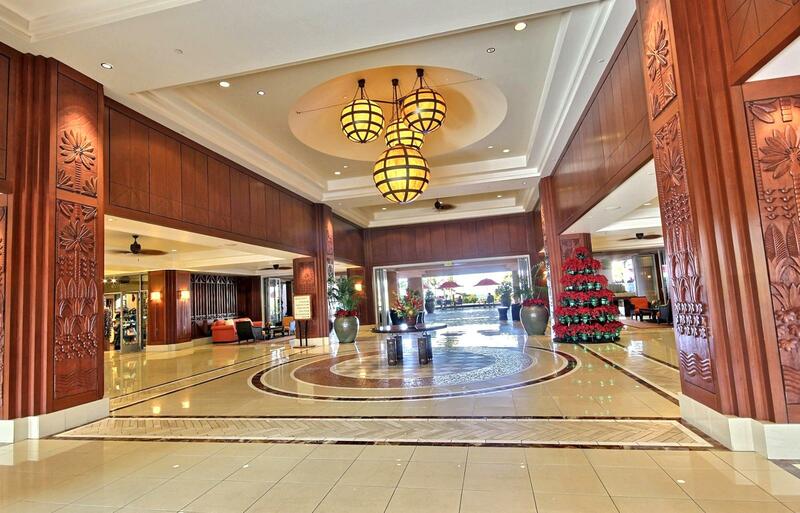 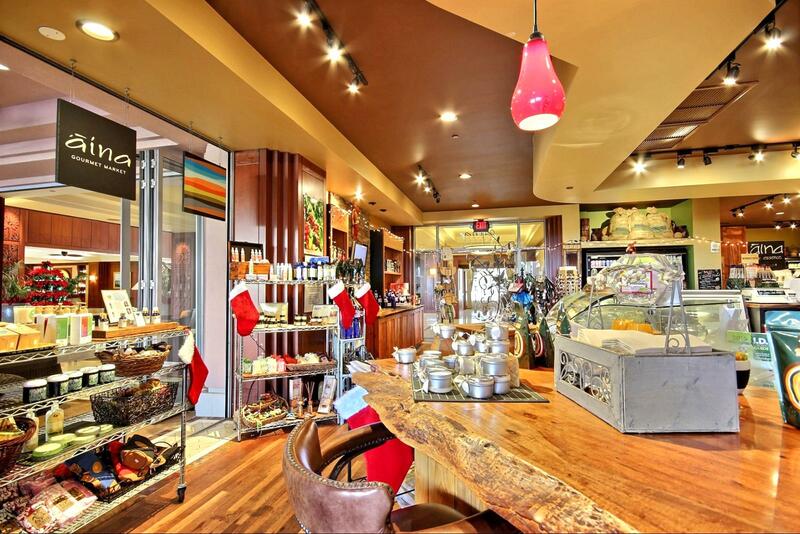 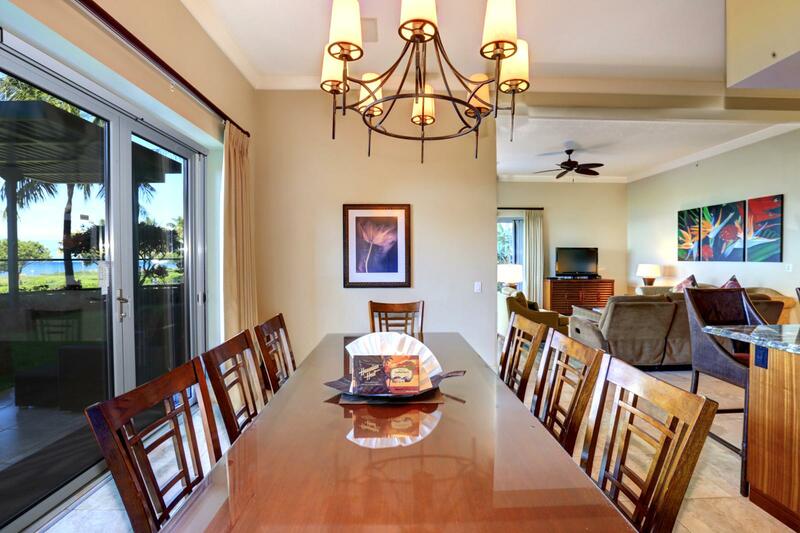 Nov 10 2019 - Nov 12 2019 * 2 night special only $755/nt. 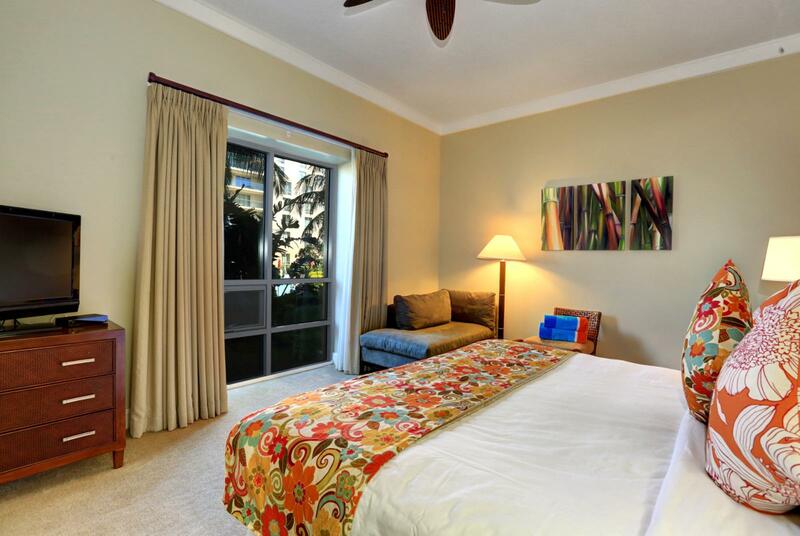 Nov 20 2019 - Nov 24 2019 * 4 night special only $755/nt. 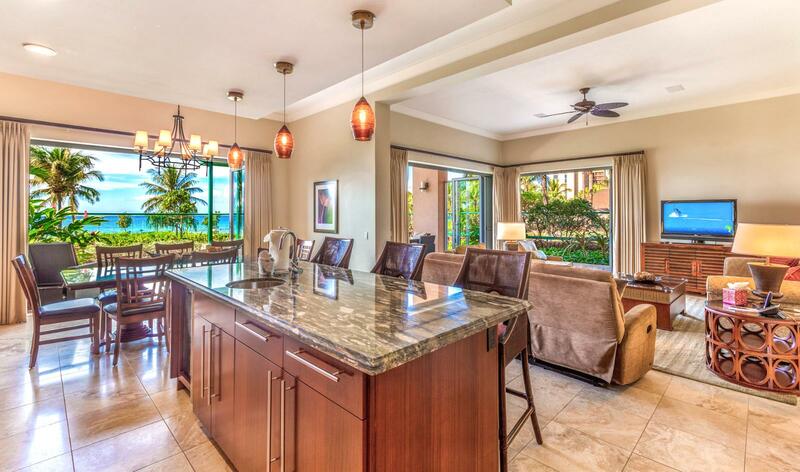 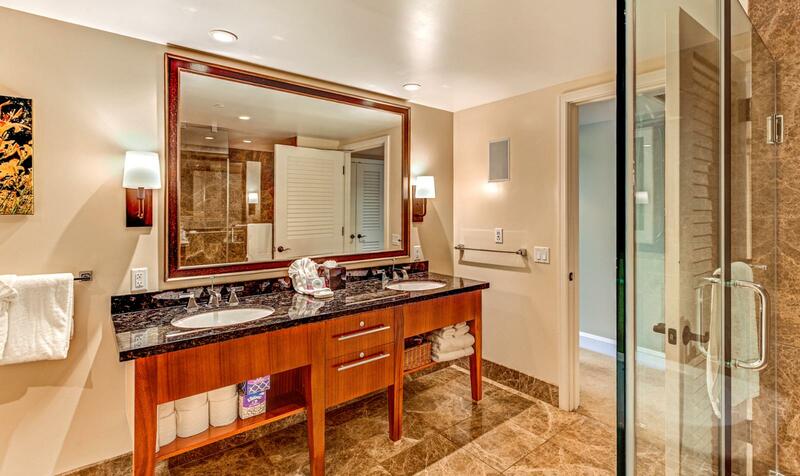 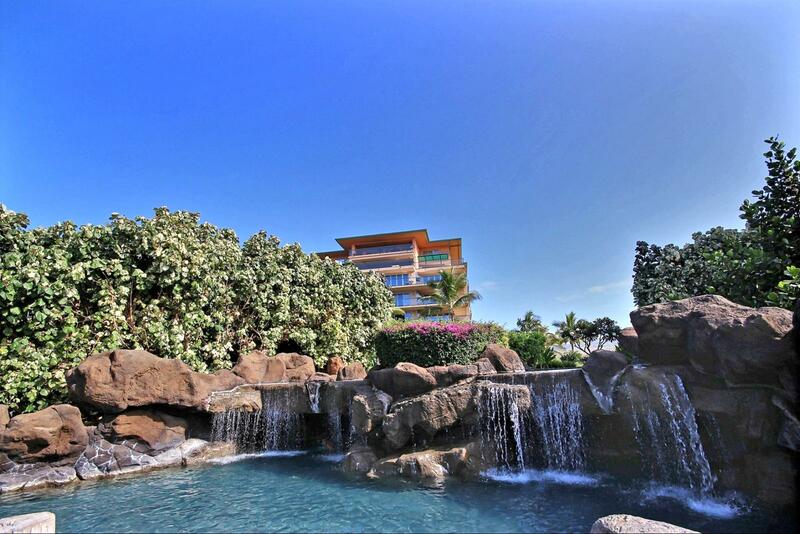 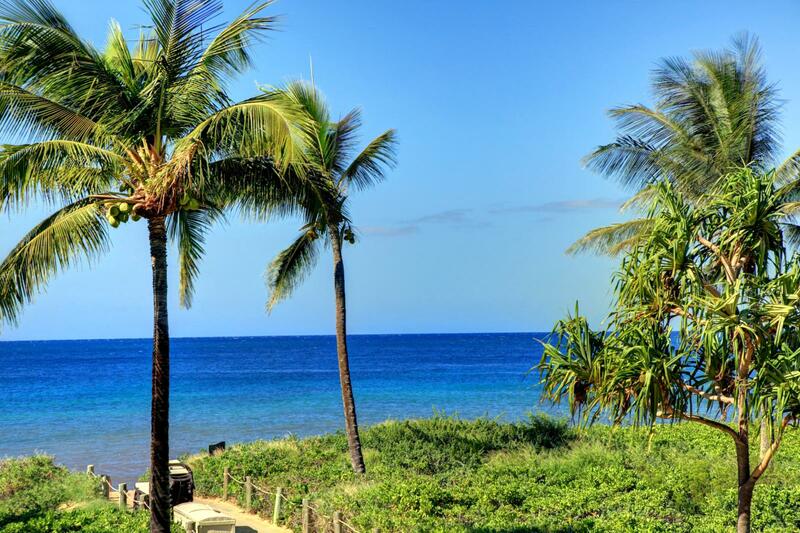 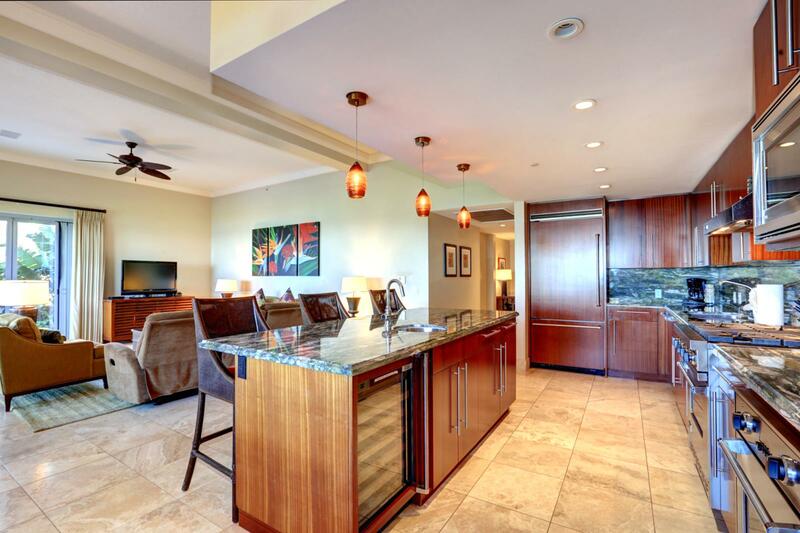 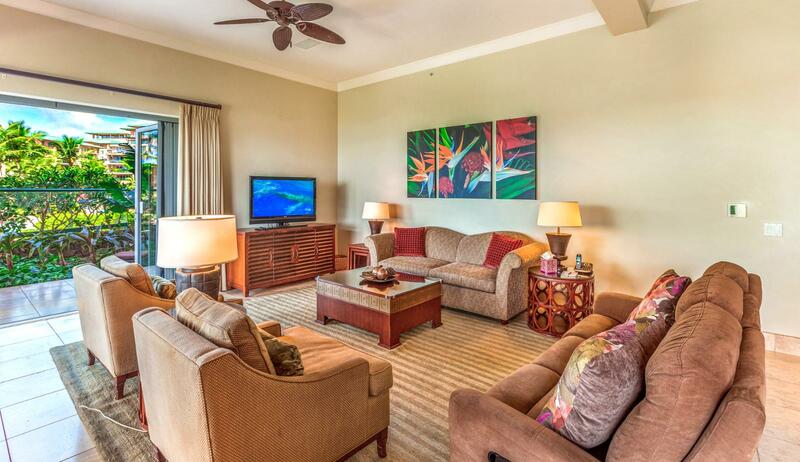 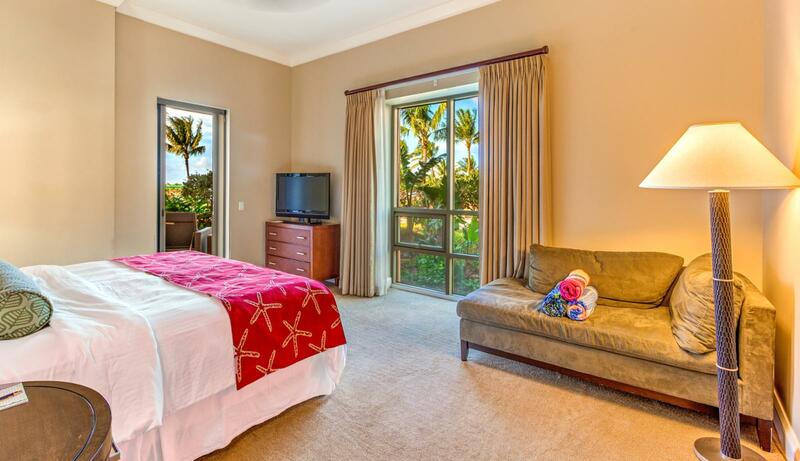 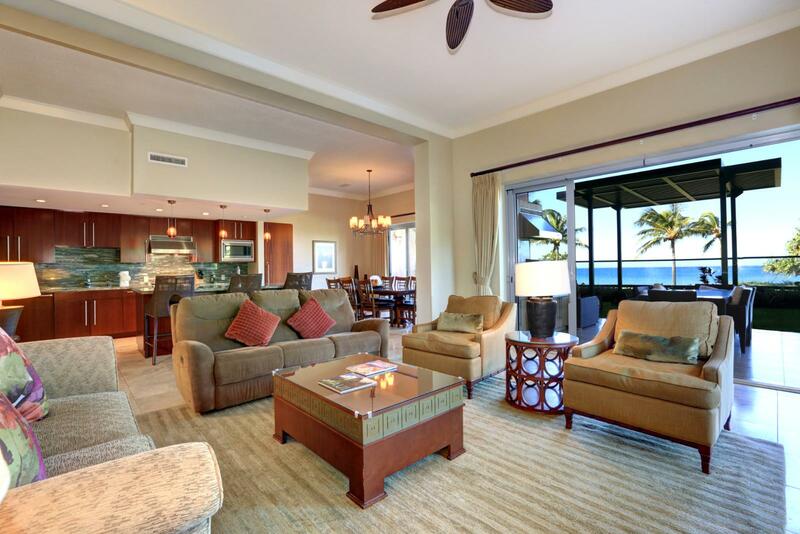 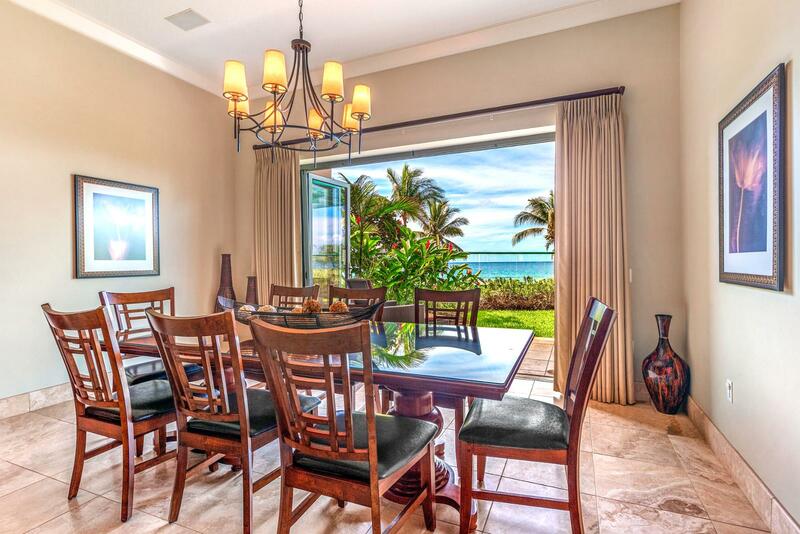 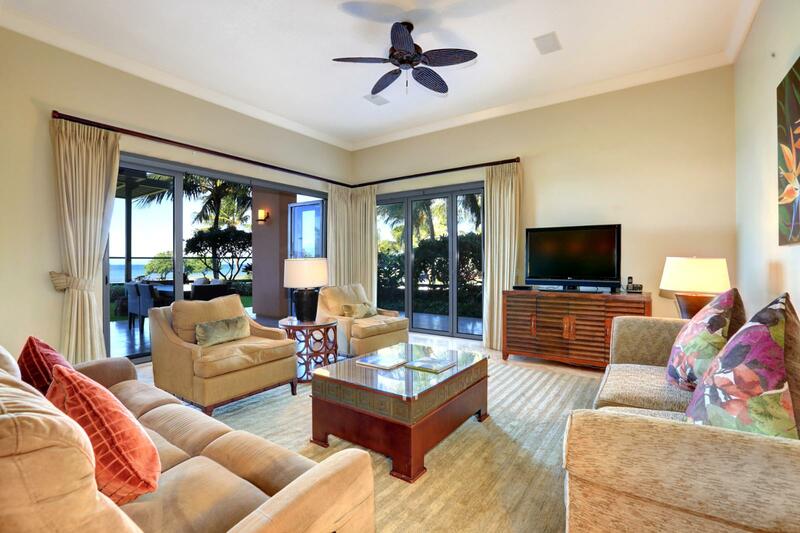 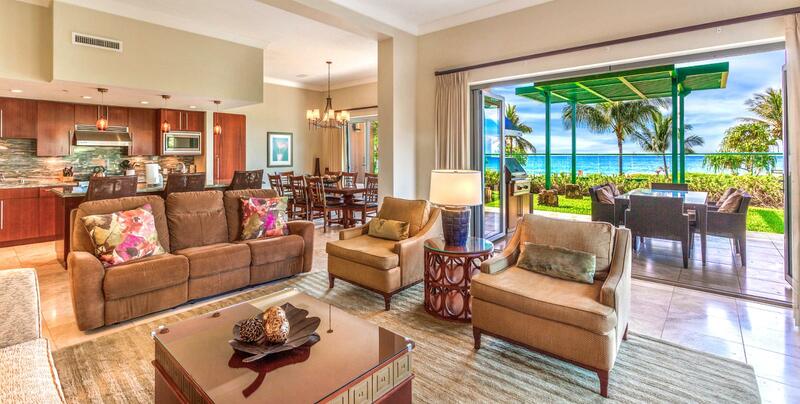 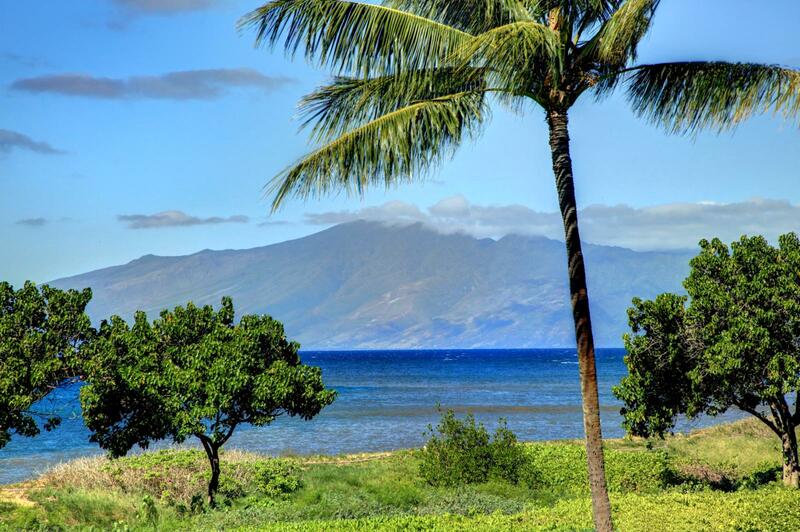 Step into one of the most private spectacular ocean front suites at the beautiful Honua Kai Resort. 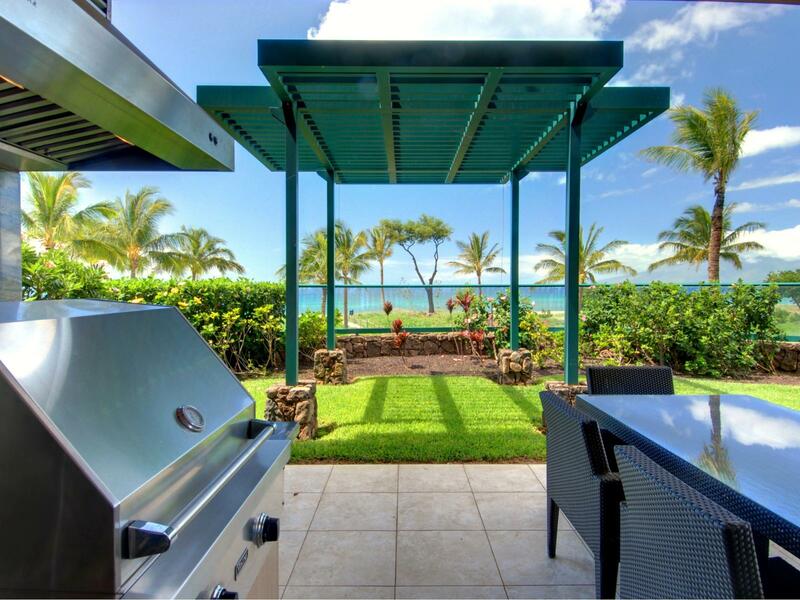 You can not get closer to the Ocean/Beach than this coupled with your own private yard. 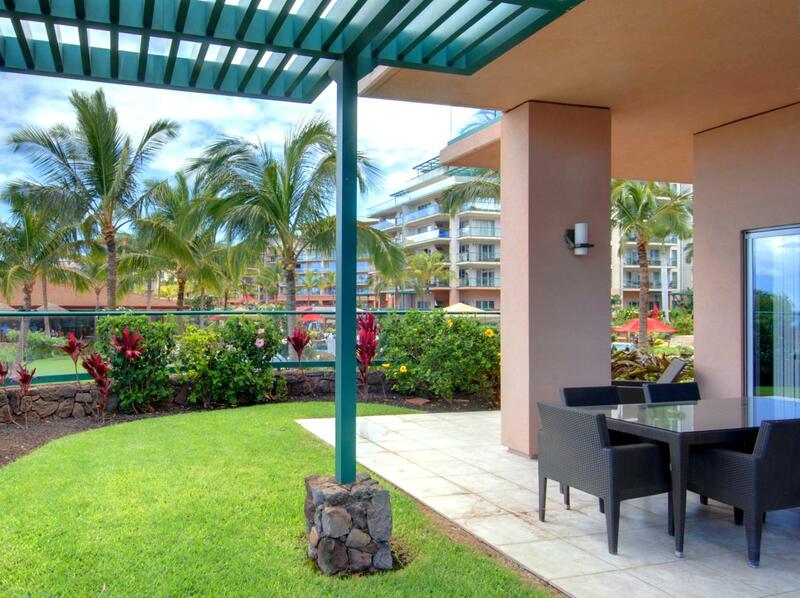 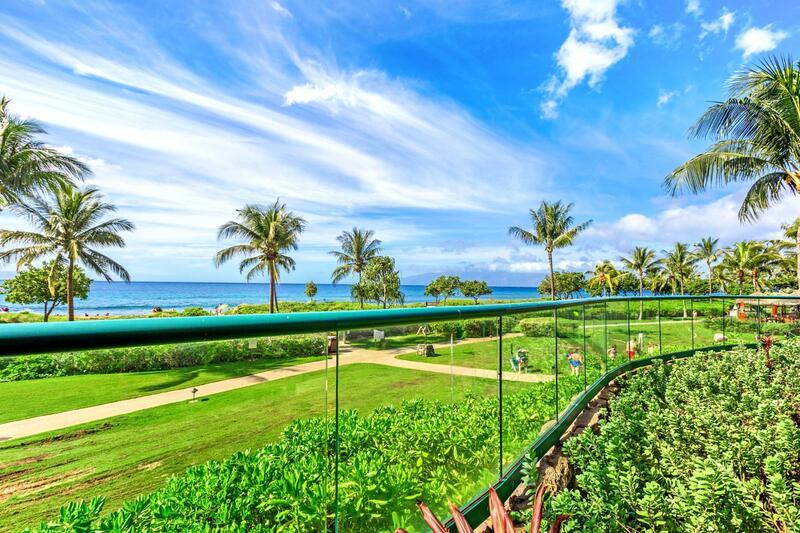 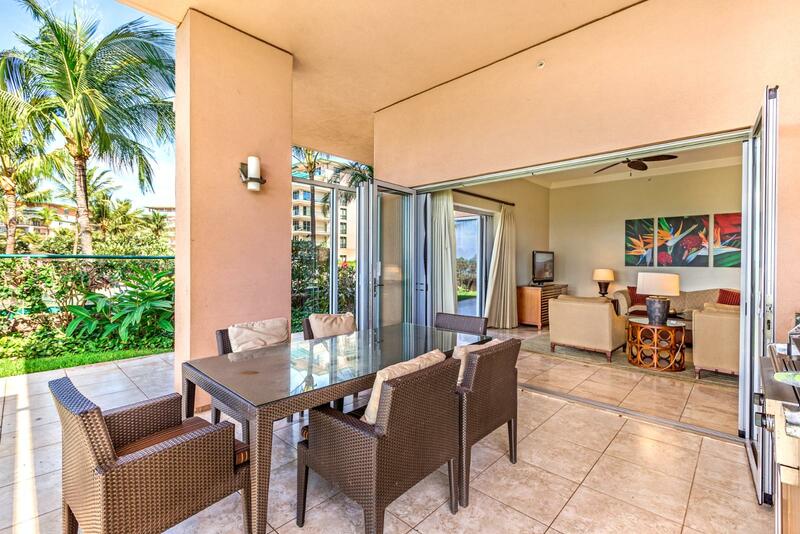 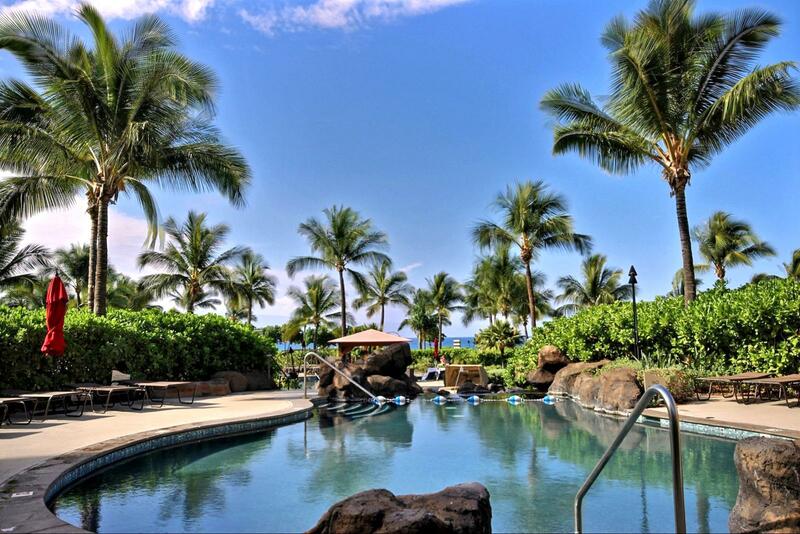 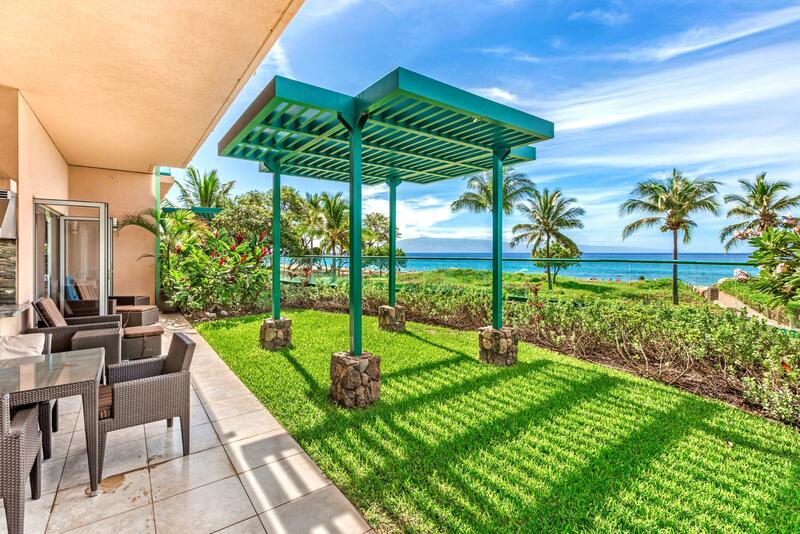 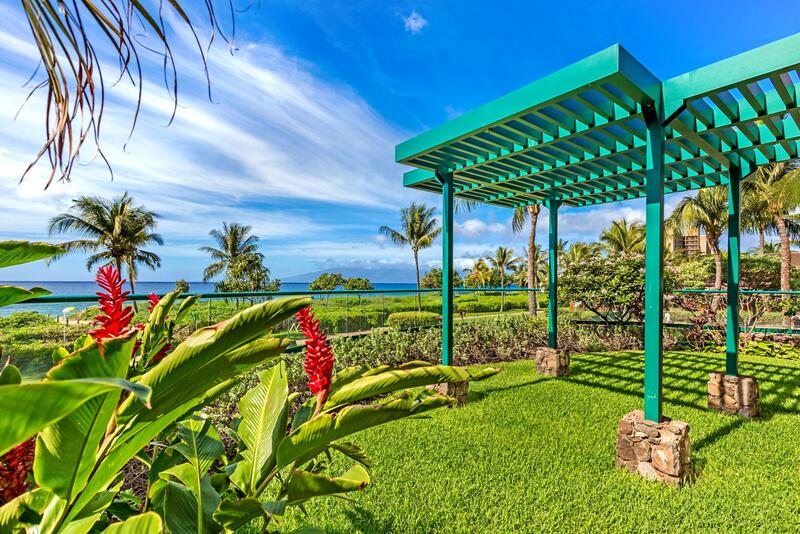 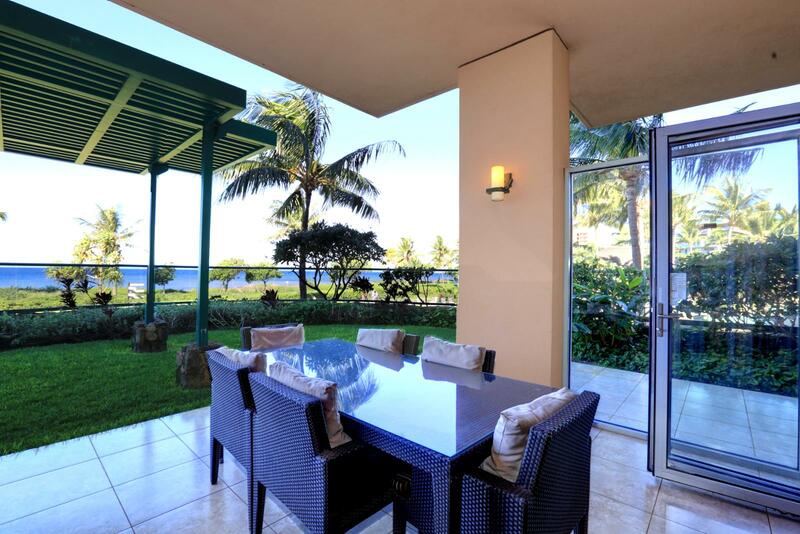 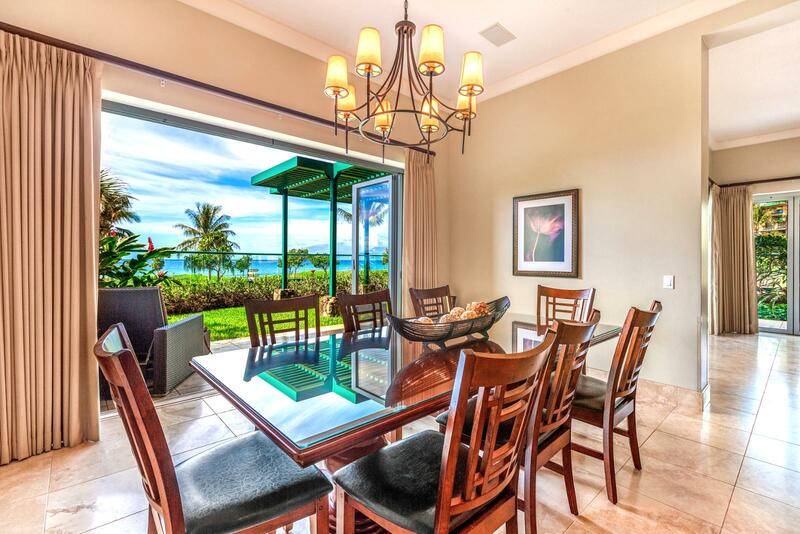 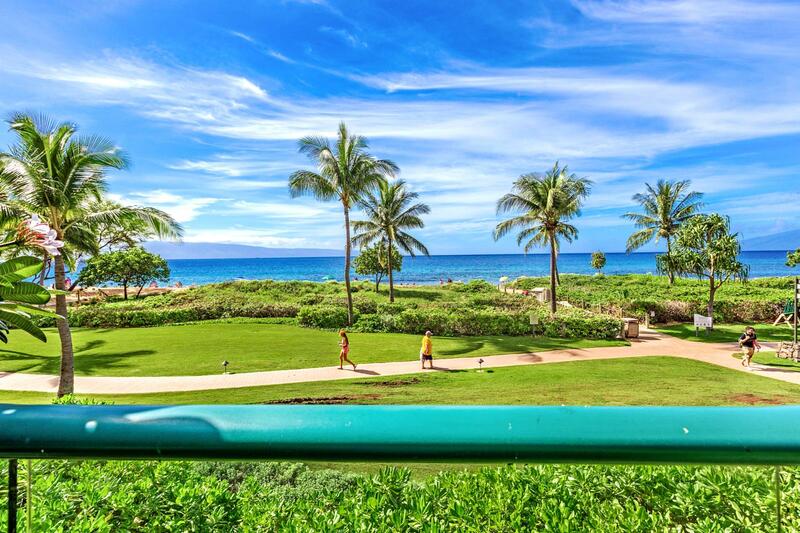 Gaze at the breathless views from your own private oasis comprised of a custom flagstone lanai and lush grass retreat complete with your own private path from your lanai down to the warm Pacific Ocean and pools at Honua Kai Resort. 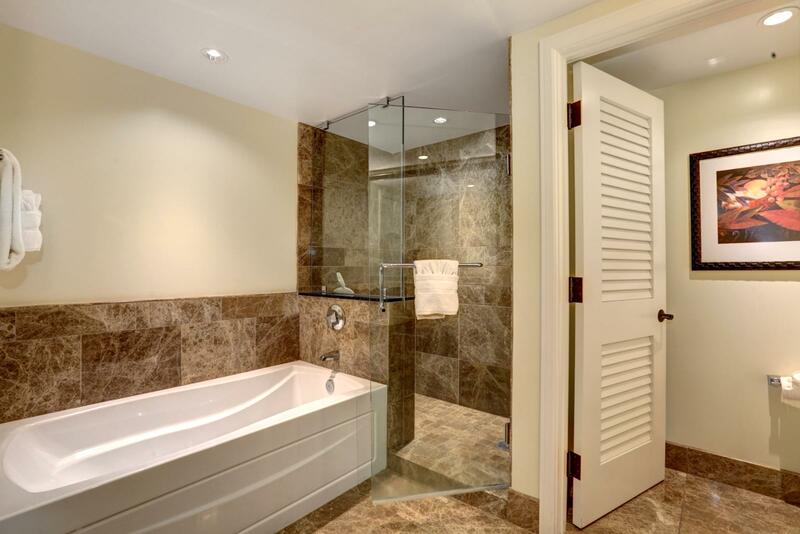 Experience total luxury surrounded by fine Italian marble finishes, Viking commercial appliances, spacious bedroom adornments with a view that is second to none. 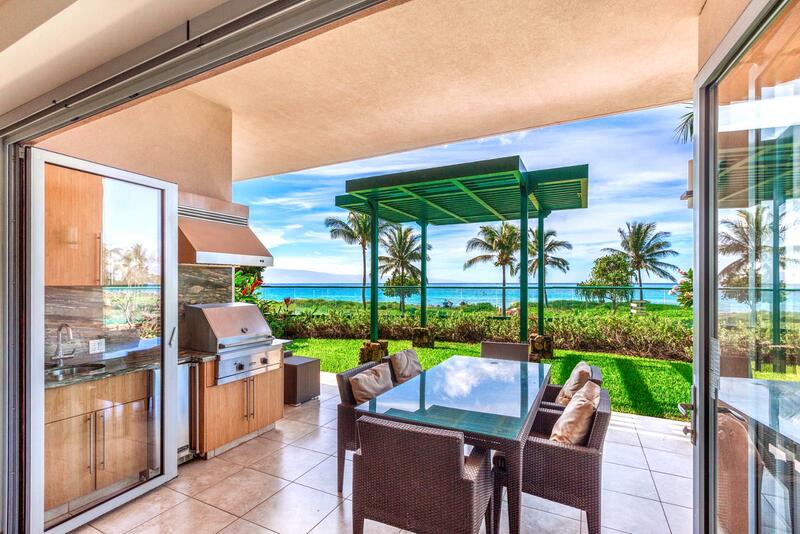 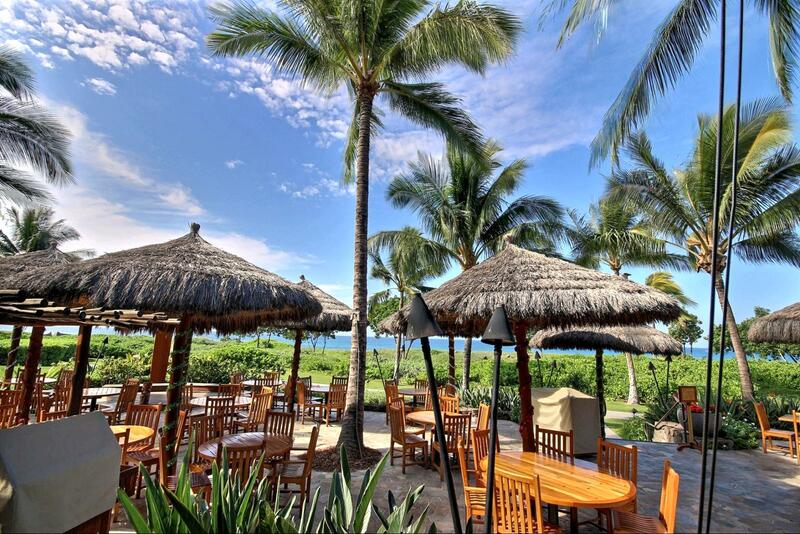 Throw a private happy hour for your family relaxing on the chaise lounge chairs, concocting your best frozen margarita at the granite outdoor kitchen. 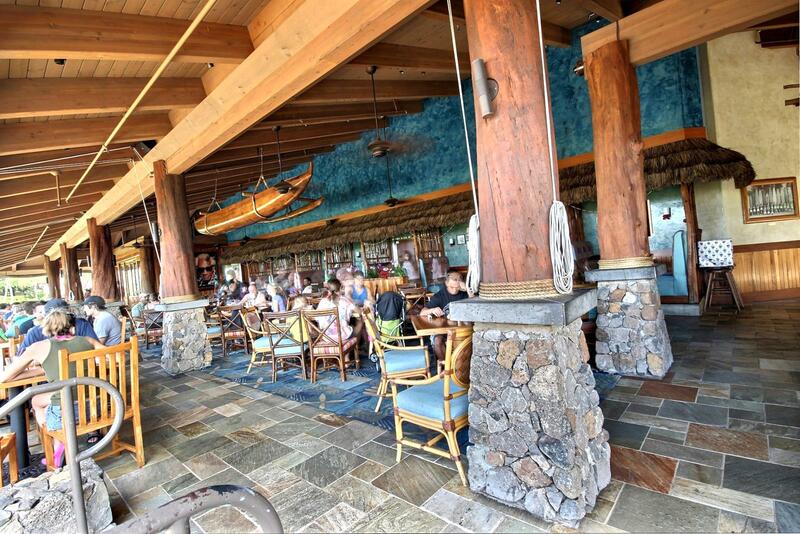 BBQ fresh Mahi Mahi on your own private Viking BBQ or takeout from the famous Dukes restaurant just a stone's throw across the grassy field. 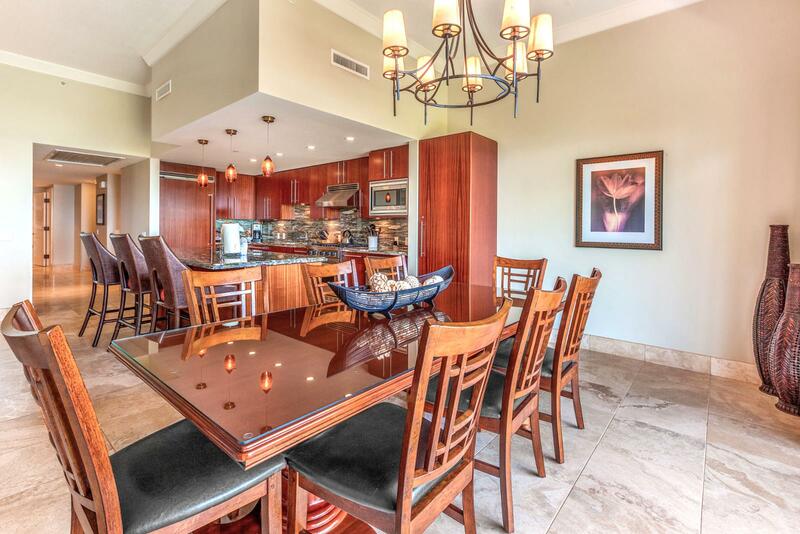 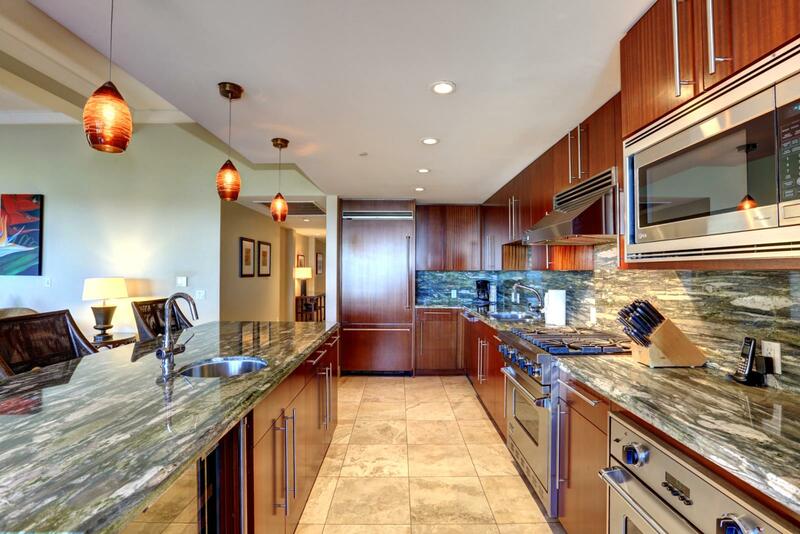 From the kitchen island you can actually see whales breaching from this incredible and meticulously maintained three bed, three bath suite. 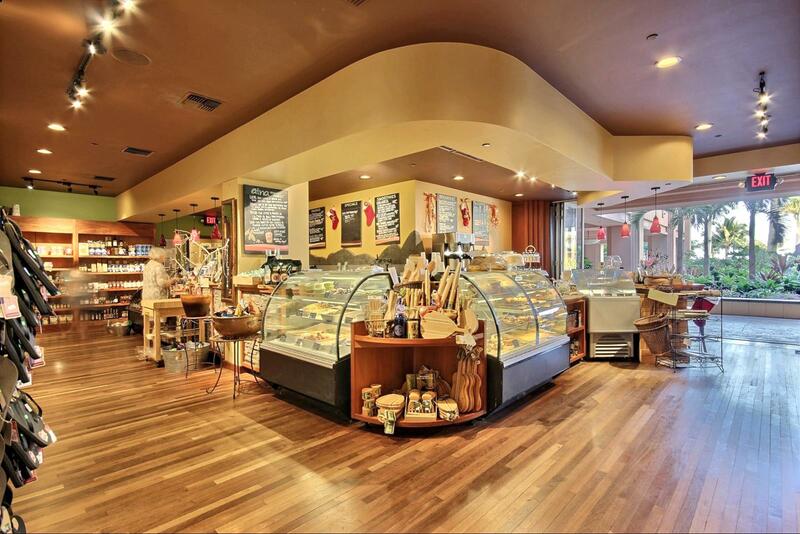 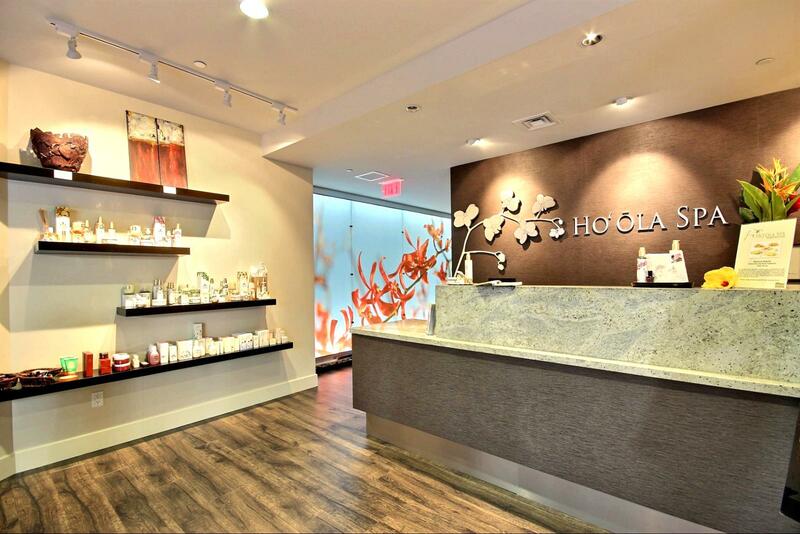 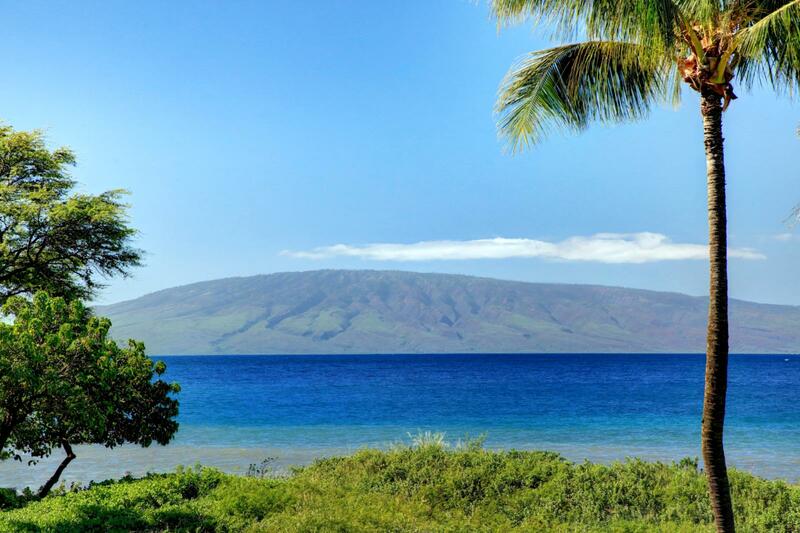 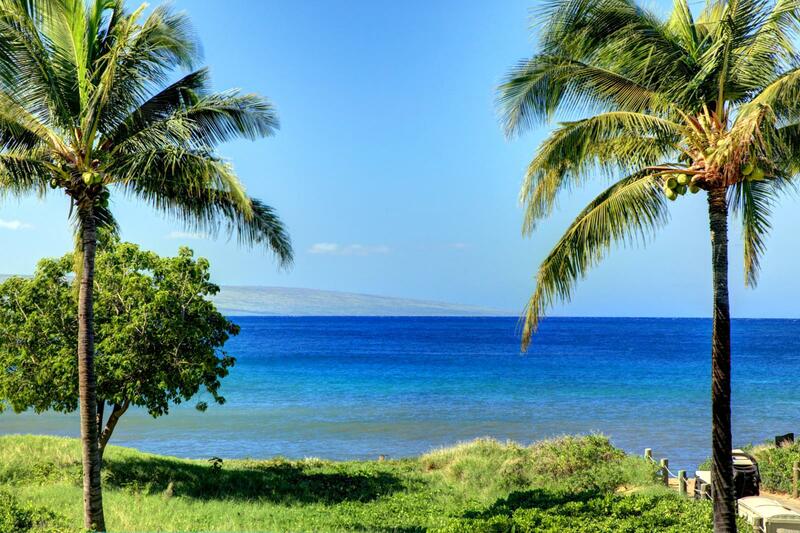 Make this the vacation to remember and treat your family to the very best Honua Kai has to offer! 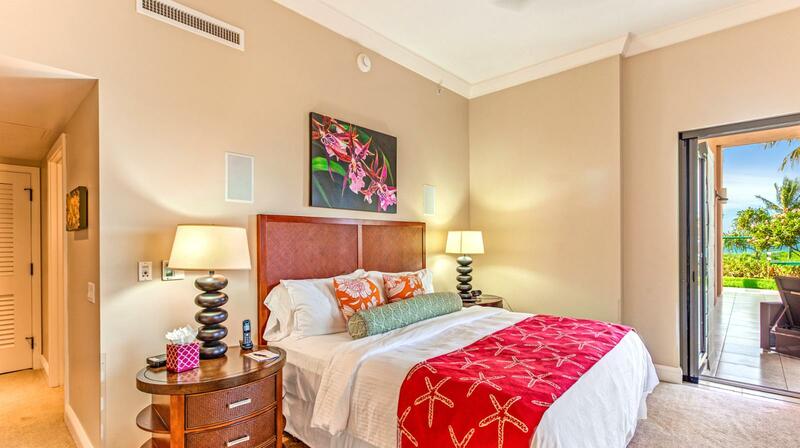 Internet : Wireless (free) FREE High Speed 300mb wireless Internet supporting up to 9 video streaming devices. 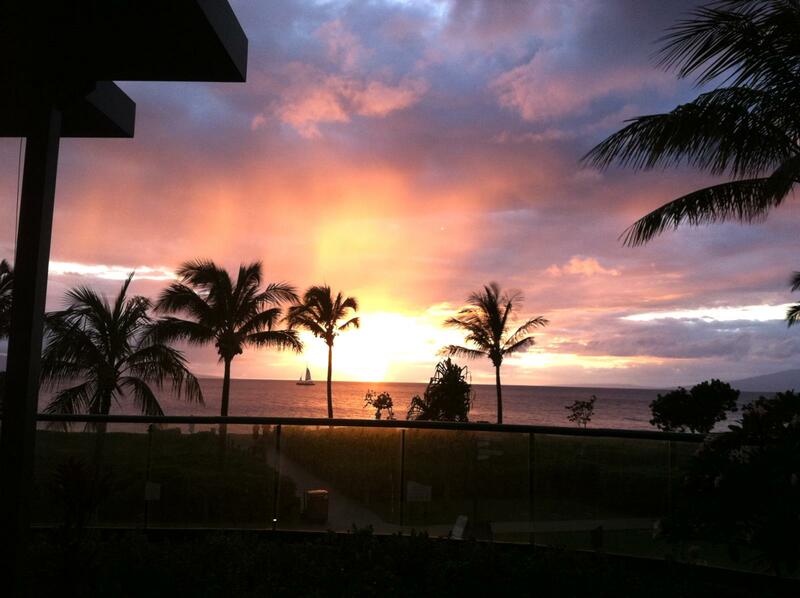 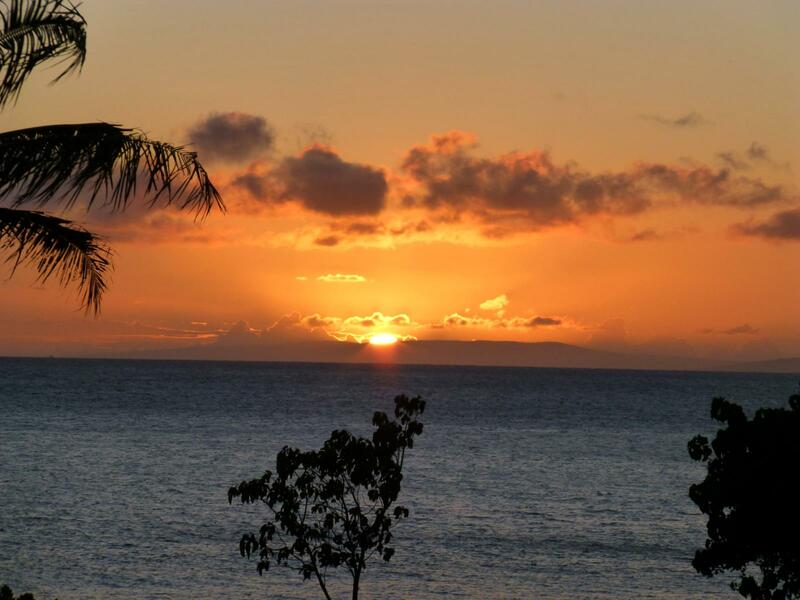 View from Lanai of another gorgeous sunset! 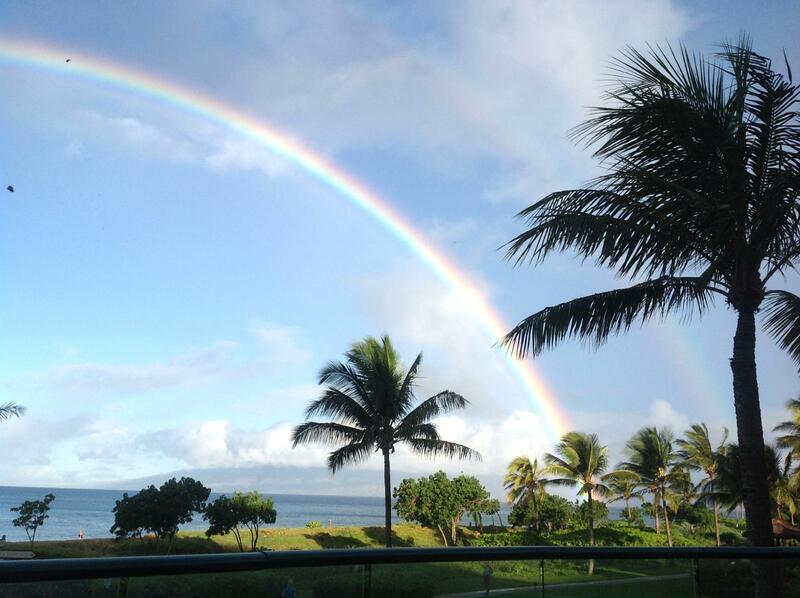 View from Lanai - pot of gold!